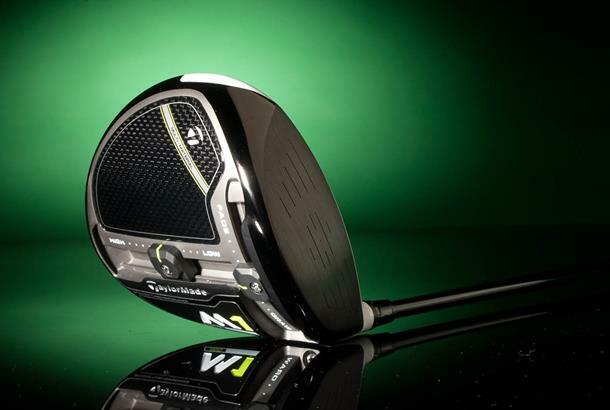 TaylorMade's new M1 may bear the same name as the original, but it's been re-engineered from the ground up to deliver extra forgiveness and more personalisation. It looks similar, with that distinctive carbon crown framed by white. But make no bones about it, TM's engineers have stripped the original M1 back to its individual components and studied how each part could be improved to deliver a noticeable overall gain for everyday golfers. Well, the head is created from a new, lower density 9-1-1 titanium alloy which instantly reduces weight. There's an entirely new carbon-fibre toe section, which means 43% more carbon than the original. Look closely and you'll see how that carbon toe panel is recessed into the head, a completely new technique which frees up volume so the head can be made bigger to increase forgiveness. The crown tapers more from face to back improving aerodynamics and lowering the centre of gravity. And if you didn't notice, the weight tracks on the sole are longer, closer to the edge of the head and more aerodynamic to offer greater adjustability and maximise club speed. Trust us, every detail has been poured over by TaylorMade, and even a new "final finish to final finish" concept means the titanium head, carbon crown and carbon toe section are all painted separately before assembly, reducing the amount of paint needed to cover the joints between each section. The result? You've guessed it, incremental weight savings. And the engineers weren't quite done. Each ledge inside the head (which the carbon is attached to) is narrower and there's less adhesive to bond everything together all to free up maximum weight to influence ball flight. 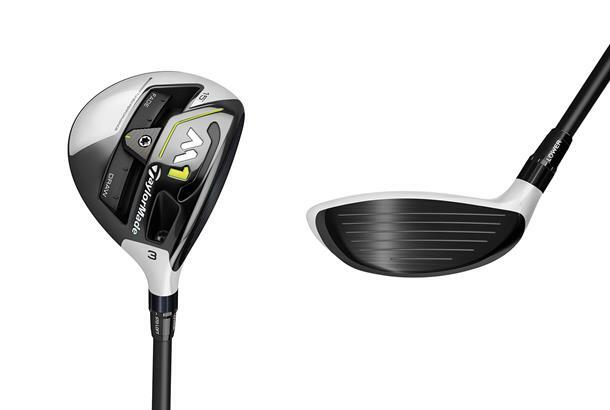 TaylorMade will offer a 460cc M1 alongside a 440cc head, which has a deeper face and 30g of moveable weight for those who insist on maximum workability. You get a choice of three top quality stock shafts as standard, but we'd suggest you attend a proper fitting as you get to choose from 30 extra shafts at no extra charge. The carbon crown goes from seven layers to six and there's a carbon toe section to free up even more weight. The back weight track edges closer to the back of the head and front weight track, meaning more centre of gravity adjustability. You also get 27g of sliding weight (15g in the front track and 12g in the back) to position to influence launch, spin and flight. 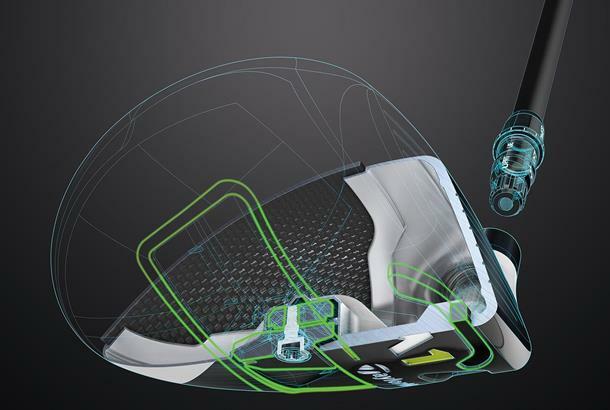 By pushing the carbon fibre toe section "into" the head, more volume is freed up. 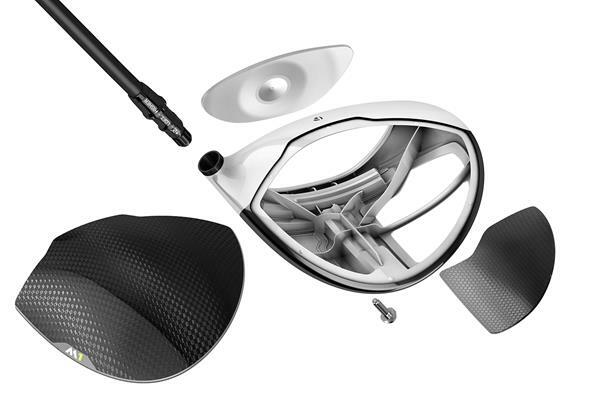 So essentially TaylorMade's engineers have "squashed" a larger shape from the same mass. A new lighter weight titanium alloy frees up extra weight which wasn't available with the original M1. Both front and back weight tracks have been streamlined, and the heads more tapered towards to the back to maximise airflow efficiency. The original M1 had 6 coats of paints, to disguise the joint between the carbon crown and body. The new M1's crown and body are painted before assembly to save even more weight. The white strip on the crown is also narrower because they've used more carbon. Compared to original M1 inertia is said to be higher (comparable to original M2), there's 64% more centre of gravity adjustability and the footprint is 4% larger. 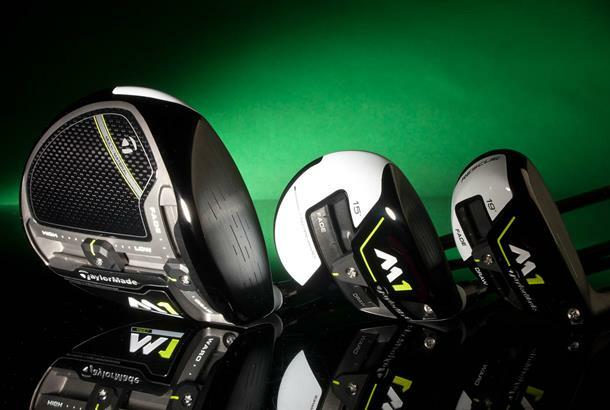 TaylorMade are well known for making super long fairway’s and hybrids. But by building adjustability into the mix spin rates, launch angles and shot bias can all be tweaked which means fairways and hybrids can be set up with the same precision as a driver. As the M1 family is aimed at distance and adjustability it’s no surprise both the new fairway and hybrid feature sliding weight tracks. 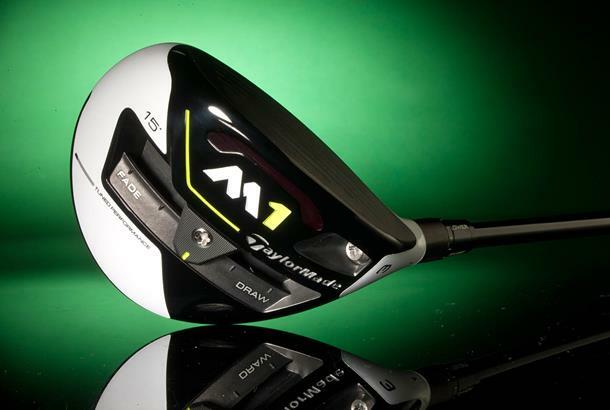 And just like the new M1 driver every detail of the design’s been scrutinized to eek out extra on-course performance too. TaylorMade say the fairway's been completely reshaped, and thanks to a new Ni-Co 300 alloy face, bounce back is faster than ever. Just like the driver the carbon fiber crown's thinned from seven layers to six and there's a new ultra-lightweight hosel adaptor which reduces weight in an inefficient area. By repositioning the weight track (with 25g sliding weight) further from the face a speed pocket's added to the sole to help protect ball speed on off centre hits. A recessed sole design means the rear section is lower than the front which improves turf interaction meaning maximum energy's directed to the ball on every shot. 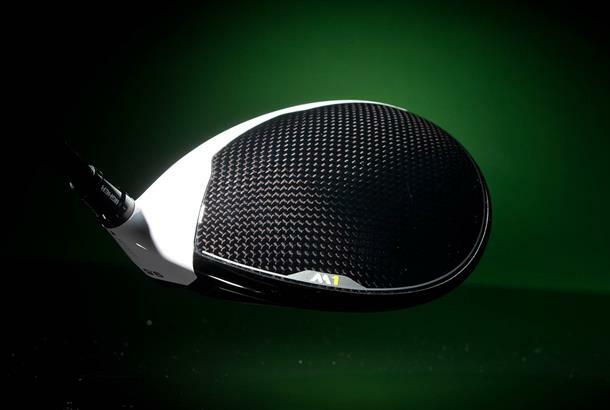 TaylorMade's new "final finish to final finish" concept spills over from the driver ensuring no stone's left unturned when it comes to weight saving. 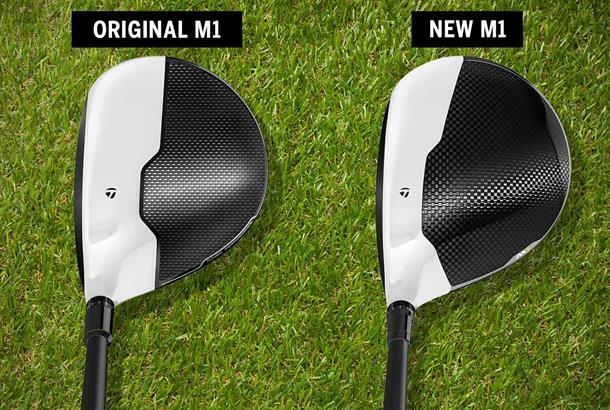 Expect to see the new M1 fairway appearing in golf shops from January 27th 2017. Stock shaft: Mitsubishi Kuro Kage TiNi with 30 upgrade options at no additional charge. Compared to the original M1 the weight track is now much more central. A 25g sliding weight allows you to dial in a draw, neutral or fade bias. Original M1 didn't have a speed pocket as the space was taken up with a weight track. TaylorMade say the new speed pocket increases face flex and protects ball speed on off centre hits, increasing forgiveness. It's only one layer of carbon less but every little makes a difference. The weight savings have been relocated to give greater influence over shot shape. TaylorMade hybrids are played more on tour than any other hybrid. 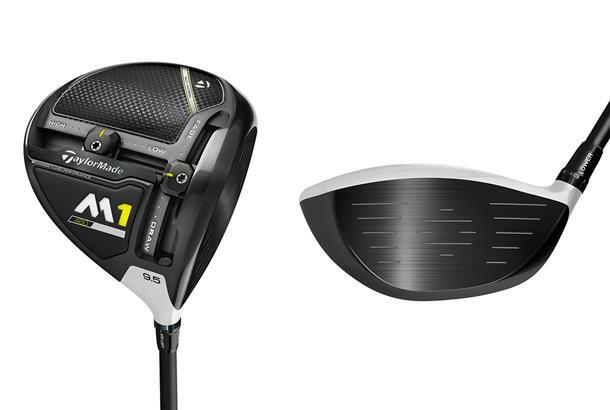 And the M1's the pro's favourite thanks to its adjustability and neutral bias. 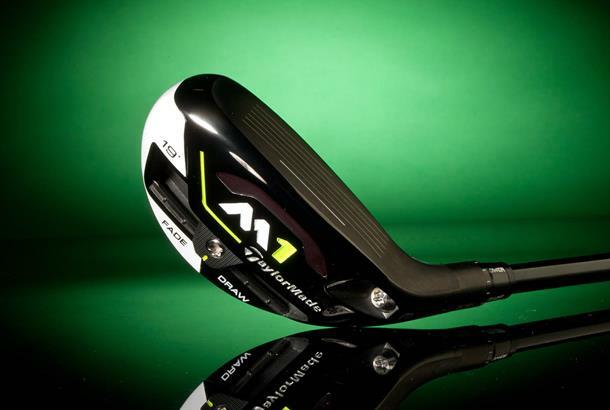 The new M1 is the companies first hybrid to feature a sliding sole weight (27g) and TaylorMade reckon the new M1's tour proven shape will appeal to a wider audience, whilst its redesigned sole offers greater playability too. Unlike the original M1 hybrid you can now dial in either a draw, neutral or fade bias which means ultimate shot shape adjustability and personalisation. 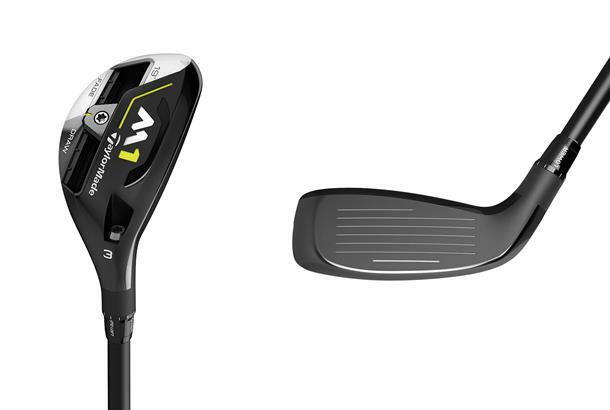 It's the first time TaylorMade have put a sliding weight in a hybrid. Unlike original M1 you can now dial in a draw bias too. An open channel in the sole allows the face to flex and bounce back more. Protecting ball speed when shots are hit off centre, and meaning greater forgiveness. Look closely at the heel and you'll see its more cambered than the original M1. Extra camber increases playability, and eliminates the tendency to "dig" the heel into the turf and turn shots over.